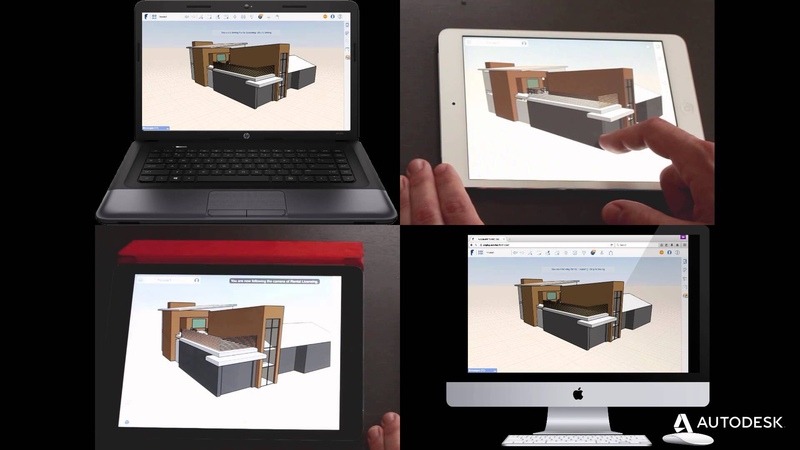 The power of Revit to create coordinated drawings with 3d models doesn’t stop there! 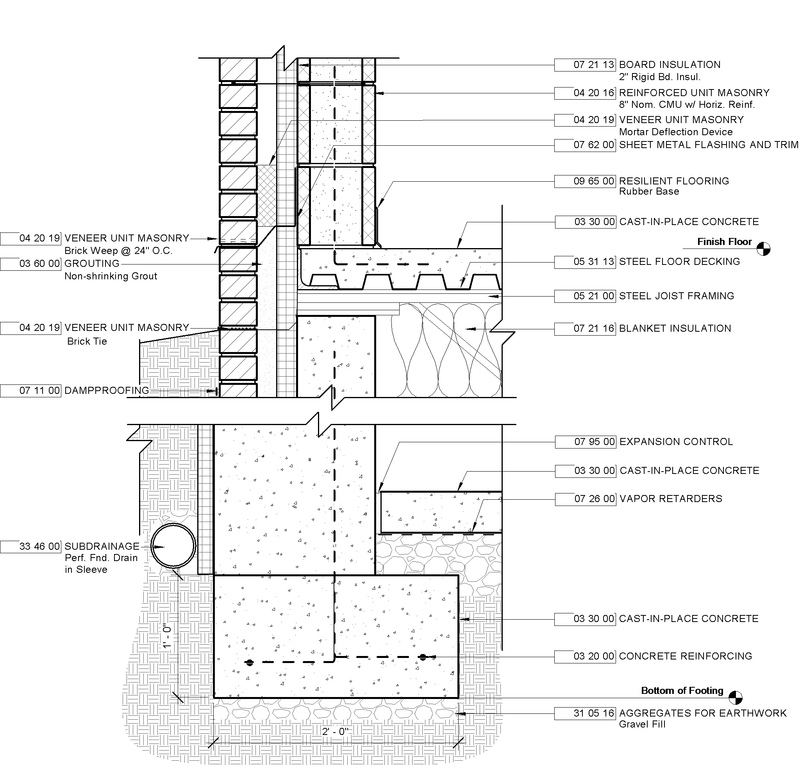 As architects, technologists, designers, engineers we have all had to notate drawings, revise the notations and sometimes miss a note to update. With multi-category tags, this is all solved. 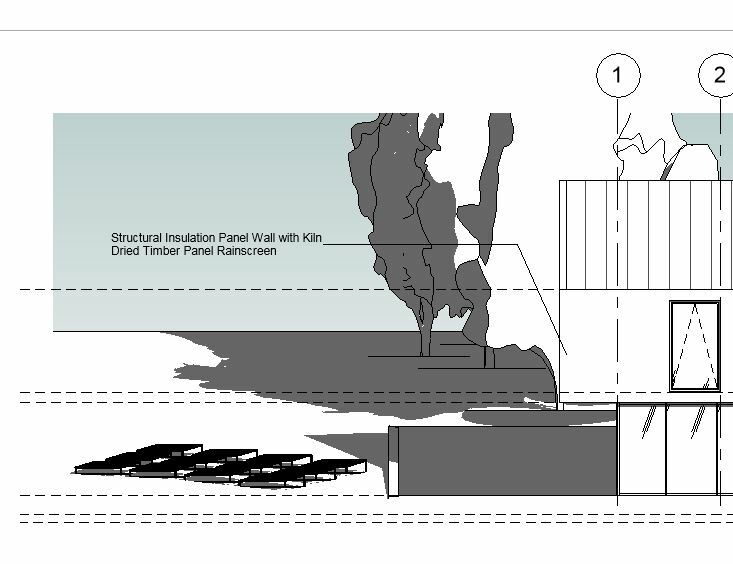 Take a wall finish for a planning drawing as an example. 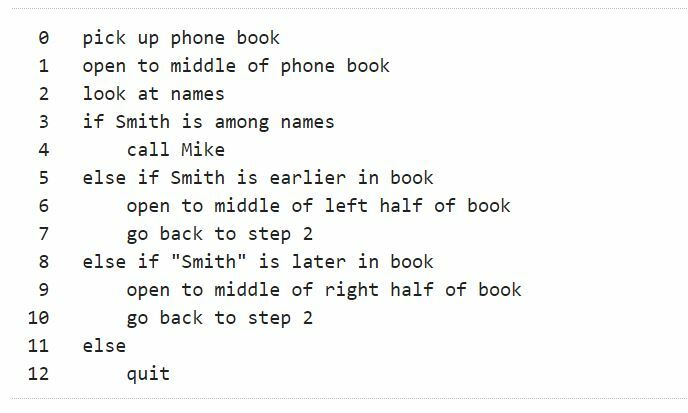 This workflow will pull in the information entered with Type Properties of the wall under Description (see above). Open an elevation or preferred view that you wish to tag. Select the Multi-Category Tag as above. Once your tag is loaded, hover the tag over your wall and you will see the “Description” appear. And the best thing, if the note updates in your type properties, then so will every other note. Enter the information once and it is reused throughout your project, including schedules which I will cover in another post. As an Architectural Technologist, my role in architecture is to analyse and assess the technical reality of building designs, both before and after construction. On a recent visit to Copenhagen in Denmark, I was impressed by the modern architecture and its juxtaposition to the traditional buildings. Around 10 or so years ago, I became familiar with Danish modern architecture through Bjarke Ingels work. Danish culture seems quite practical yet with appreciating enjoyment in life at the same time, similar to their philosophy of Hygge. 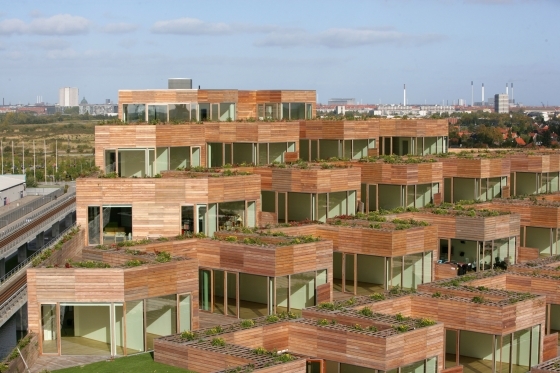 This is evident in their architecture and a good example of this is Architect Bjarke Ingels of www.big.dk. His buildings break the rules of plain box architecture, yet it delivers functionality unimaginable to most people, myself included. His project The Mountain, is a ground breaking interpretation of apartment living yet residents enjoy stepped gardens with exceptional views. The undercroft space of the building, is used as a public car park instead of packing in endless apartments with lower quality living experience for residents. The car park generates turnover for the owner, while the apartments are of the highest quality in finish and design. Each unit has a garden space larger than a usual balcony with a hanging garden of greenery to ground the sky view and reduce overlooking. The Mountain is so called because of it’s stacked nature that appears structured but feels quite organic in form when you are up close to the building. The undercroft car park is clad in perforated metal that at a relatively close distance and quite far distance forms a mountain range graphic. This adds to the intrigue and interest of this building as it sits in it’s suburban context served by a lengthy cycle path leading 5kms direct to the city center. The Mountain is a refreshing reflection of Danish architecture that delivers high quality apartment living. Using an iPad and Autodesk FormIt Pro, a massing of geometry is created to determine our site constraints. 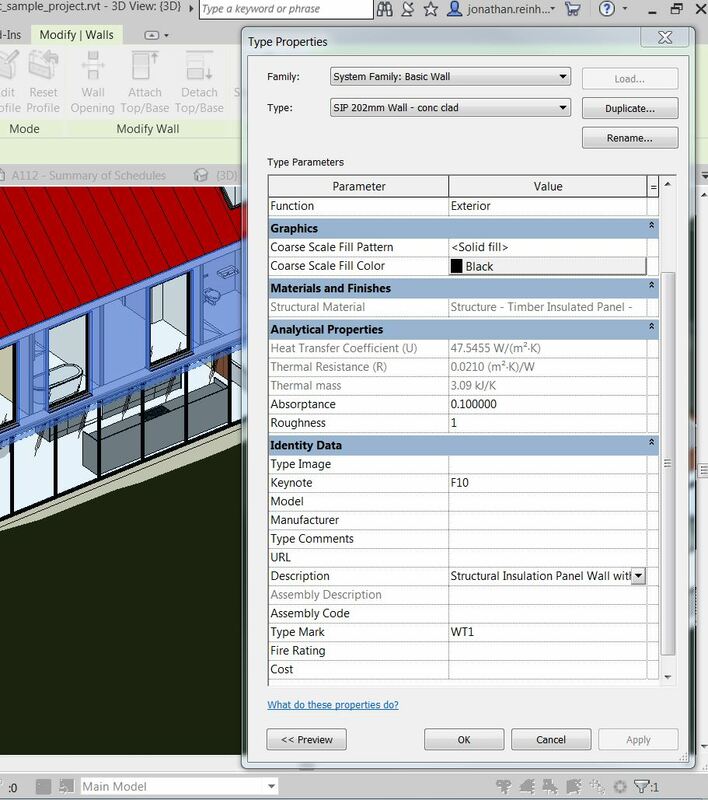 Geo Locating of the site within FormIt will allow a shadow analysis to see any impact from or to the site context. A solar analysis is then performed to see how the sun will impact on building orientation. An energy assessment of the building by generating an Insight analysis further informs on building operational average costs taking into account glazing ratio, orientation, window type and various other factors. 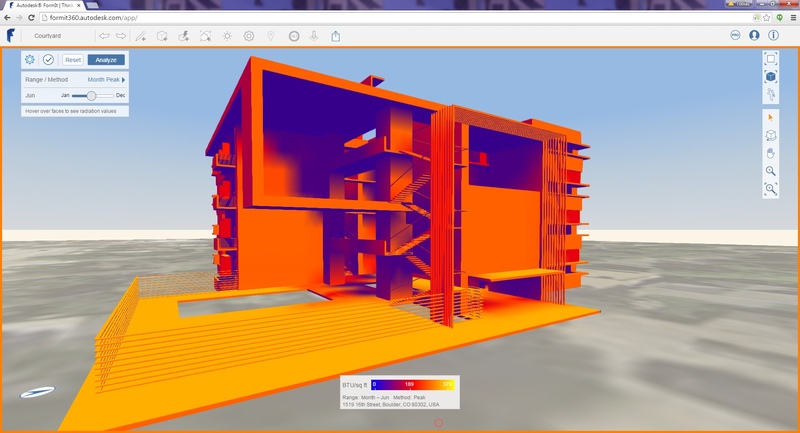 Using the collaborate feature within FormIt, the geometry can be presented and discussed with the client by sharing a link while they and you are in completely different locations. 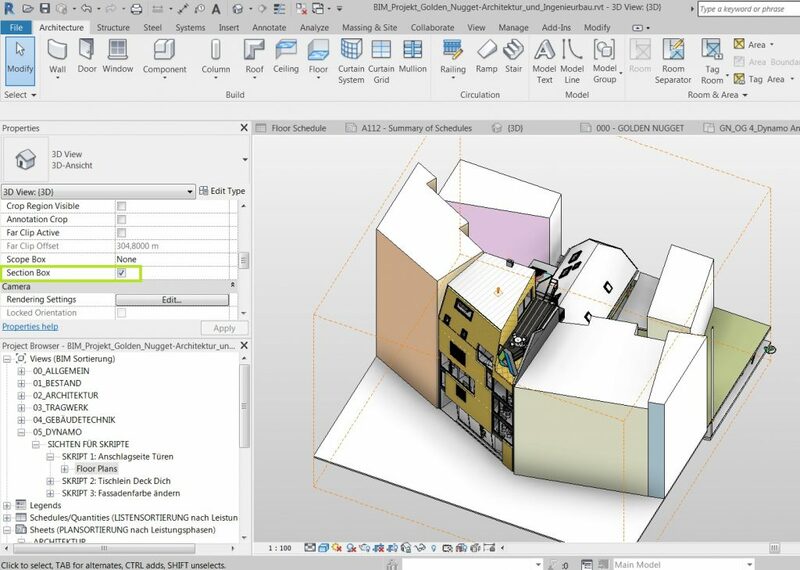 Taking geometry from FormIt into Revit is an integrated workflow using the plugin within Revit. 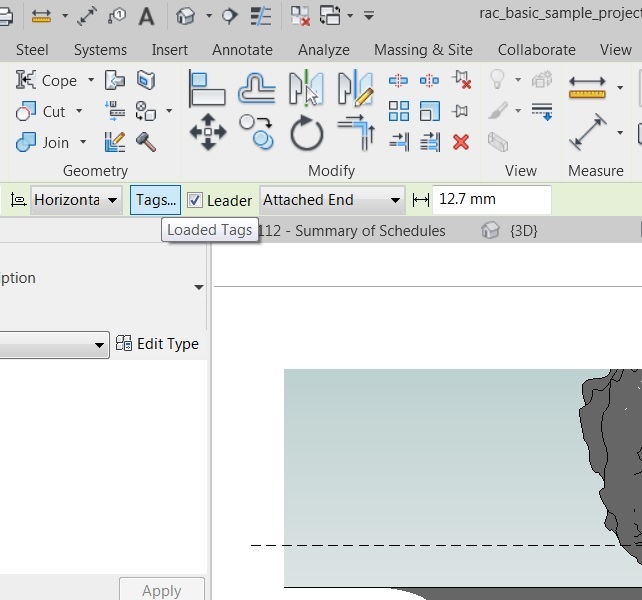 This means your are not updating a separate 3D file in parallel to your design drawings. 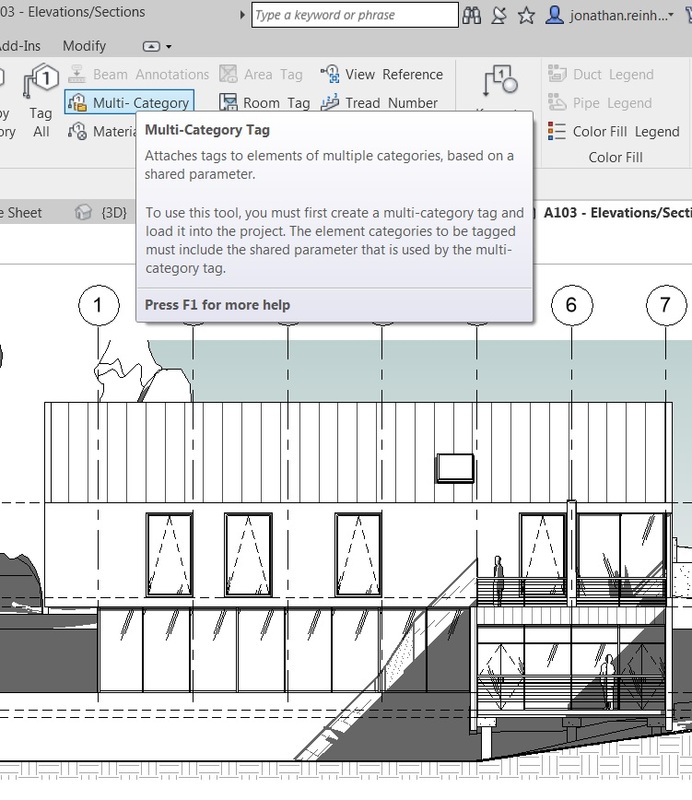 All of the imported geometry can be converted into Revit object types. 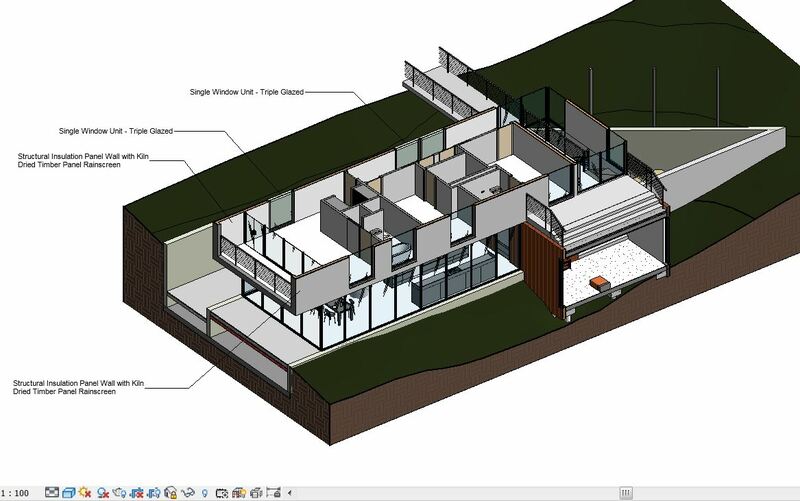 Having brought your model and drawings to a level of detail using construction detailing and Revit types then further using that model to leverage additional information. 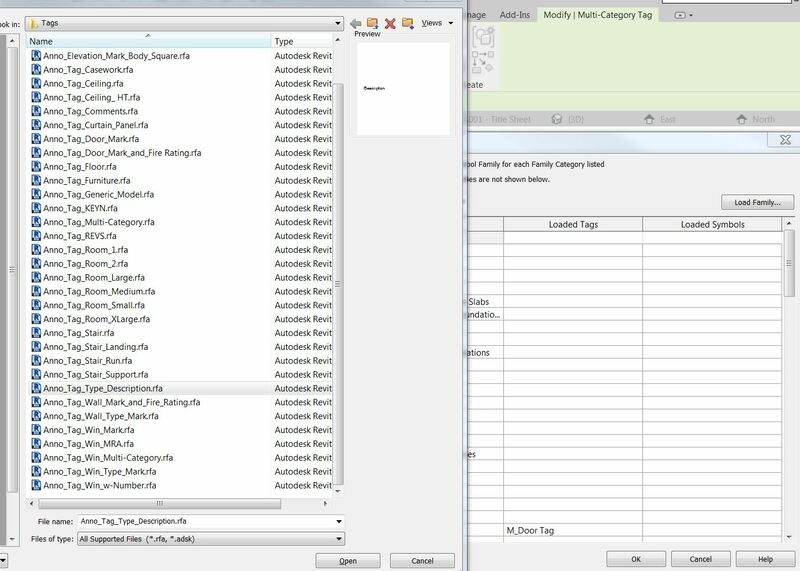 Within Revit construction rates can be applied to for example wall types, can have a square meter or linear rate, it will probably best to agree the rate with a QS or take it from a recent project. 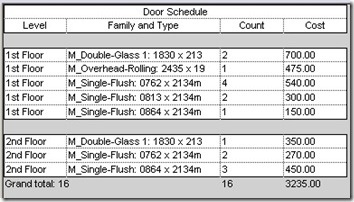 In addition, all of the rates and their associated object or building elements can be scheduled into a spreadsheet of quantities required and then checked against a QS Bill of Quantities. 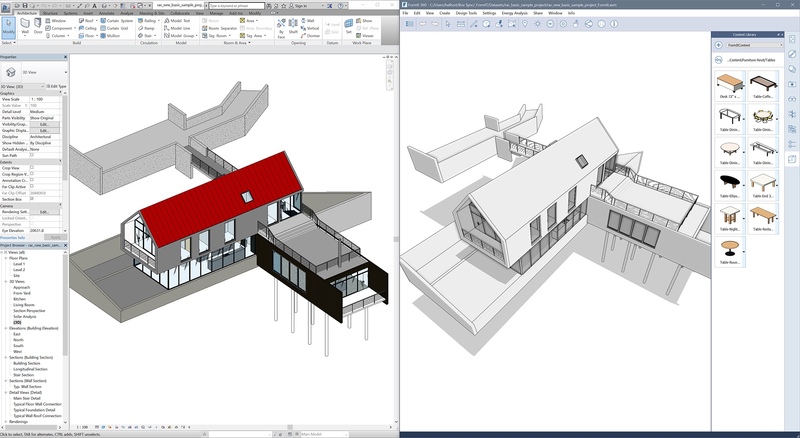 Taking the Revit model and bringing it to site. What does this mean ?? Ok, so we are used bring drawings to site, what if we could access the drawings on an iPad ? 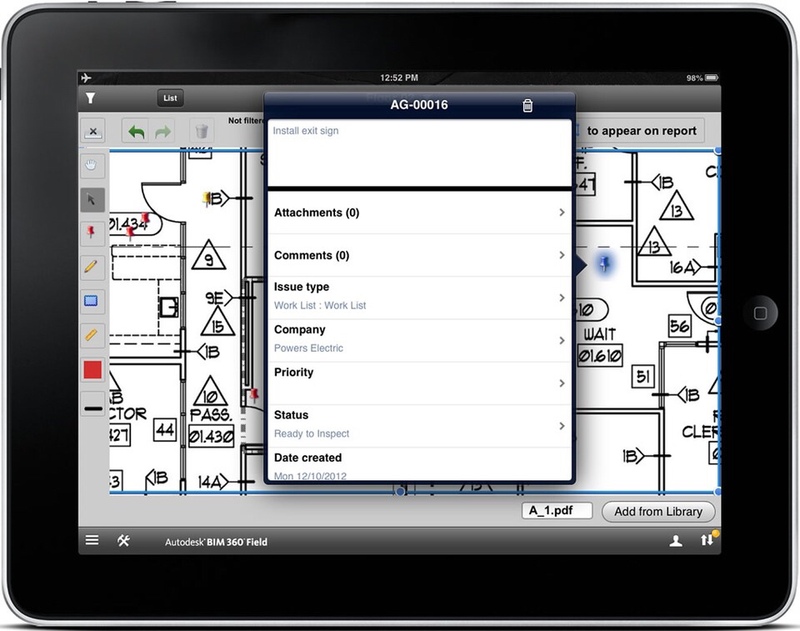 This is done using BIM 360 Field or BIM 360 Docs, Issues and inspections can be assigned to locations and accessed on site through your 3D Model on an iPad. 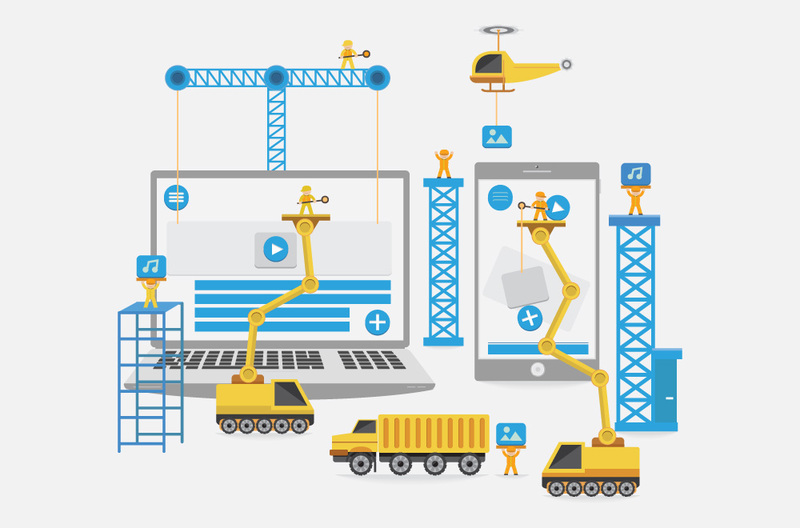 In December 2017 Ireland’s National BIM Council published the Roadmap to Digital Transition For Ireland’s Construction Industry 2018-2021. The release of the roadmap is seen as a positive leap towards BIM focused technologies & workflows in Ireland. 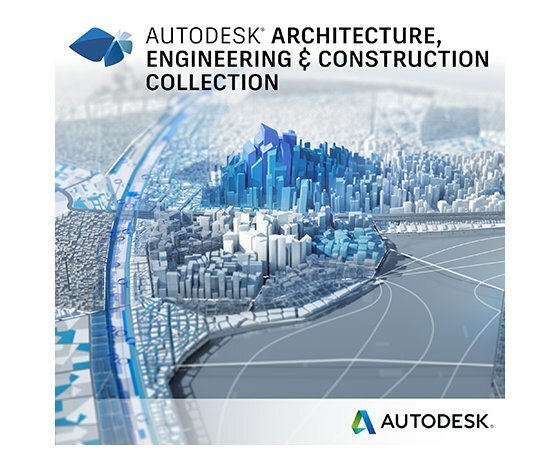 The 2021 Vision set out in the roadmap aims to increase collaboration, reduce design & construction time and connect information digitally. The roadmap is underpinned by the BIM Innovation Capability Programme, a global study researching how other countries are approaching BIM at a national scale. 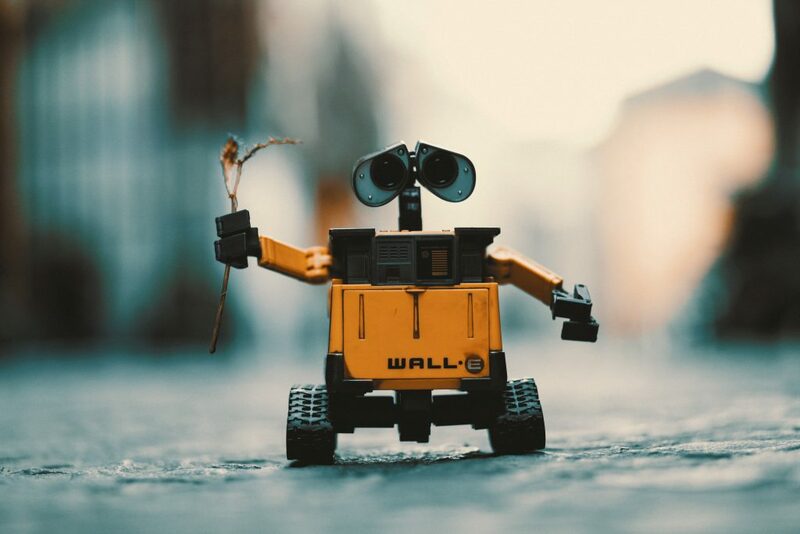 The roadmap channels this global research by identifying Leadership, Standards, Education & Procurement as the four main areas to drive the construction sector to digitisation in Ireland. The key targets of the roadmap aim for open standard 3D models to be used within a planning or building compliance context. This will support automated processes and drive efficiencies within public departments. Over 30% in a process can be wasteful labour or materials, the roadmap aims to bring this down to 20% and in turn reducing construction costs. This will be implemented through driving education across all business sizes from Large Multi nationals to Small & Medium Enterprises. The SME consideration is mentioned significantly throughout the roadmap to support training. Ireland accounts for 12% Foreign Direct Investment (FDI) in Europe yet only 1% of GDP, this is a good opportunity to increase construction exports through goods and services in overseas markets. Reducing delivery time of projects by 20% across the design and construction phase will bring further efficiencies to the industry. Centralising project information and digital collaboration is key to driving this time reduction. Contributing digital information from our construction data is valuable to smart growth, communities and cities. This will support Ireland being a key leader of digital transformation across Europe and globally. To achieve the roadmap targets, leadership within the public and private supply chain will create a frame to support the industry. While adopting standards in line with International and EU Standards to ensure Ireland can increase collaboration, through open standards and similar documents in line with PAS1192. Having this common standard enhances construction information being shared and the opportunity for exporting construction services. An education and training initiative that includes SME’s is noted as being an important element to drive the digital transition. The final part of the roadmap targets procurement as the area to drive a Government Mandate. Several publicly procured projects have already mandated BIM and are being used as pilot schemes. The Grangegorman redevelopment in Dublin is a €2 Billion public project that has had several stages of completed construction in the past 12 months. 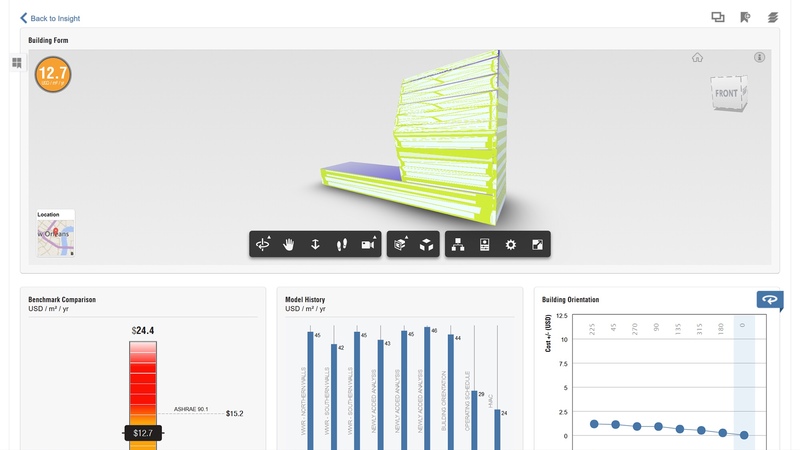 This project is seen as a key driver of BIM in Ireland. To support the 20% time reduction, 20% exports increase and 20% cost reduction a wider uptake of technology and education can support this achievable target within Ireland. 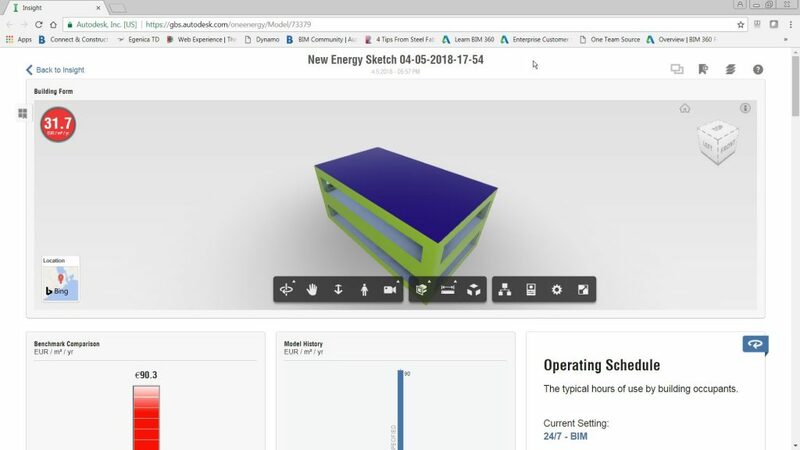 As we move forward to train and support companies moving to BIM, the technology and support are intricate elements to make the roadmap successful.